The disbelief was universal. 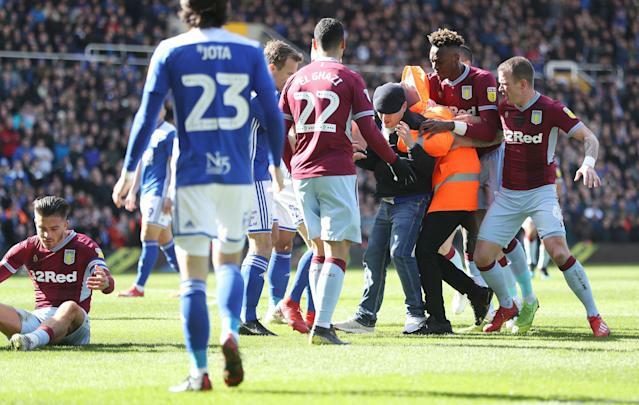 A Birmingham City fan ran onto the field and punched and knocked down Aston Villa’s Jack Grealish – who would go on to score the game-winning goal – from behind during the Birmingham derby. 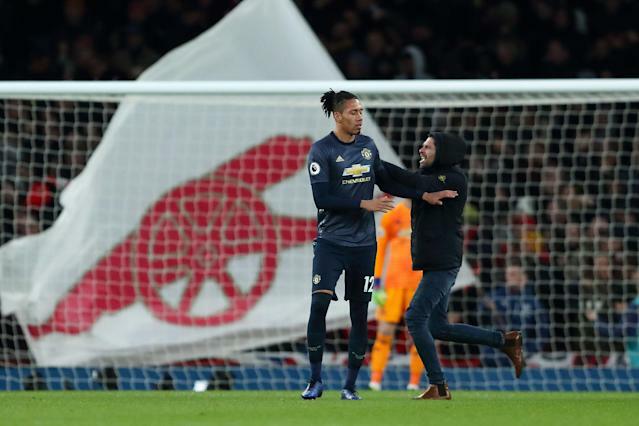 Then, a few hours later, an Arsenal fan shoved Manchester United’s Chris Smalling after invading the pitch to celebrate the Gunners’ second goal in their 2-0 victory. Two unfathomable actions, intolerable intrusions into the beautiful game, on the very same day. “Not this again,” the English seemed to think in unison. The kneejerk concern was for a return to the dark old days of the Premier League, or its Football League predecessor. When hooliganism was an uncontainable force during most of the 1980s and some of the 1990s. Soccer stadiums weren’t safe then, and neither was the area surrounding them on match days. Yet even then, pitch invasions were rare. So while the worry is understandable, given how far soccer in Great Britain has come, this wasn’t quite that. This was very much an eruption borne from modern soccer, rather than a spasm from its past. What we’re seeing now isn’t the loose chaos from a time when the sport was barely professionalized, a fact that a subset of fans predisposed to violence eagerly took advantage of. This is a product of the way the sport and its sophisticated marketing mechanisms have positioned themselves in a hyper-partisan time. There was an outcry, of course, lamenting the behavior of two individuals. There were calls to root out this kind of behavior, and the inevitable promises to review stadium safety and crowd-management protocols. On some level, this sort of thing is the risk you run when you allow the seats to be built as close to the field, without fencing, as the Premier League does – one of the things that fosters its unparalleled atmosphere at games. Some have blamed the societal disquiet that threatens to tear this Brexit-era Britain apart. But the real culprit is perhaps simply the tribalism the sport has stoked for its profit. The enmity towards rival teams is something that’s nakedly encouraged now, whether out loud or implicitly. This overly fervent brand of fandom is good for business. It forces brand loyalty. Supporters who take the fortunes of their club altogether too seriously are celebrated, just as opposing teams and their own followings are demonized. This distaste for the other is a function of our time, of course, and it has been weaponized to great effect in politics. Every club and its fans claim the moral high ground. Every team is the victim. Everybody is to blame. For everything. You hear the word “scum” thrown around a lot around English soccer, when some other team is the subject of discussion or derision. Manchester City star Raheem Sterling, a lightning rod for prejudiced tabloids, told the New York Times of the hatred he sees in opposing fans for having committed no greater crime than to suit up for the other team. The man who attacked Grealish, a 27-year-old, pleaded guilty to assault on Monday and was sentenced to 14 weeks in jail. He was also charged with a fine of … $462. He has been banned for life by Birmingham City and banned from all soccer games for a decade. “The sentence must act as a punishment and a deterrent to others in order to send a message to the public and fans and players like Mr. Grealish, who should be protected at all times,” she said, according to the Guardian. The trouble is that no amount of jail time will act as a deterrent when the problem isn’t one of insufficient punishment. The issue is a climate that creates immutable adversaries and a competitive culture that’s drifted far away from what sports was once intended to be. As a product, soccer is more appealing when it’s cast in a context of existential struggle against perceived enemies.That’s what we’ve turned the sport into. A series of sizzle reels of emotion and vitriol. Were the pitch invaders wrong to attack the other teams’ players? Of course they were. But they hardly acted in a void.